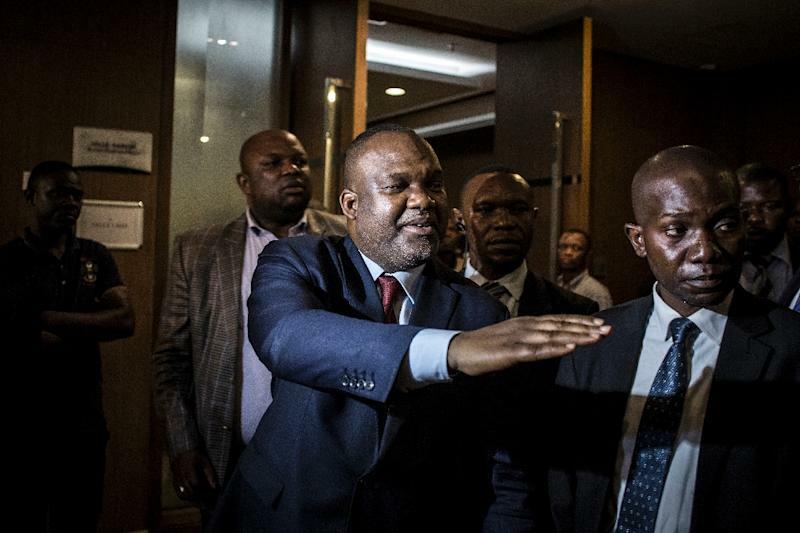 Kinshasa (AFP) - The United States on Friday placed new sanctions on three Democratic Republic of Congo officials who monitored last year's poll, including electoral commission head Corneille Nangaa. Washington accuses the trio of corruption and of obstructing democracy in December’s presidential election. "Yesterday, the US government imposed further sanctions on #DRC officials responsible for undermining the country’s democratic process," tweeted US ambassador Mike Hammer. "We remain committed to working with President Tshisekedi in an effort to create a more peaceful and prosperous future for the Congolese people," added Hammer. On Thursday, the US had demanded that Kinshasa release "accurate" election results, or face sanctions for undermining democracy. "This action follows persistent corruption by senior officials within the DRC’s National Independent Electoral Commission (CENI) and the former Kabila government to obstruct and delay preparations for credible and inclusive elections," said Sigal Mandelker, Treasury Under Secretary for Terrorism and Financial Intelligence. The Treasury found that "under Nangaa's leadership, CENI officials inflated by as much as $100 million the costs for the electronic voting machine contract with the intent to use surplus funds for personal enrichment, bribes, and campaign costs to fund the election campaign of Kabila's candidate." The voting machines were bought from a South Korean company. Mandelker said the Americans "remain concerned about a flawed electoral process in which, following the presidential election, CENI continued to obstruct the democratic process and failed to ensure the vote reflected the will of the Congolese people." Basengezi is accused of delivering bribes to constitutional court judges "to uphold a decision by the CENI to delay DRC's 2016 elections." The poll saw Felix Tshisekedi controversially declared the winner, marking the country's first peaceful handover of power since independence from Belgium in 1960. Fellow opposition leader Martin Fayalu insisted he had won the poll by a wide margin in a disputed contest mired by fraud allegations. The poll commission found Tshisekedi the winner and the constitutional court ratified the result, allowing him to be invested on January 24 with Kabila present. The election was delayed several times as outgoing President Joseph Kabila clung to power having been scheduled to step down at the end of 2016. Fayalu accused the commission of "fabricating" results. Kabila retains considerable influence as his Common Front for Congo (FCC) wields a huge majority in the National Assembly, which also held elections on December 30. The US State Department last month announced a first raft of sanctions against Nangaa and the chairman of the constitutional court, including barring them from visiting the United States, citing "legitimate concerns" over the election.